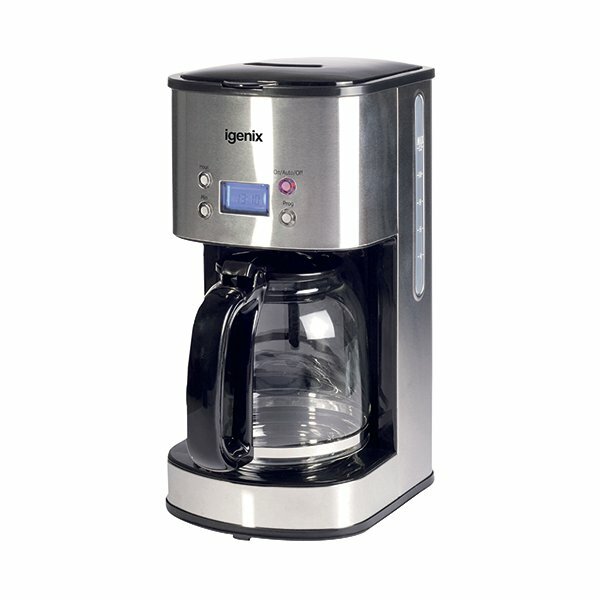 This 10 Cup Coffee Maker features an LCD display with a 24 hour programmable delay timer. The 1.5 litre or 10 cup capacity water tank has a gauge for visibility of remaining levels of water, with a removable and washable water filter. The 1000W coffee maker comes complete with a glass carafe, keep warm function and auto shut off for safety.